By “designed and assembled in USA" this is what we mean: the vast majority of the total production cost of Magni—chassis, boards, transformers, assembly, etc—goes to US companies manufacturing in the US. Our chassis are made minutes from our facility. Our PCBs are done just over the hill from us, or done in NorCal. Yes, the wall-warts are made in China, but there's some give and take at this price point. Magni is covered by a limited warranty that covers parts and labor for two years. That’s 2x the coverage of most amps in this price range. 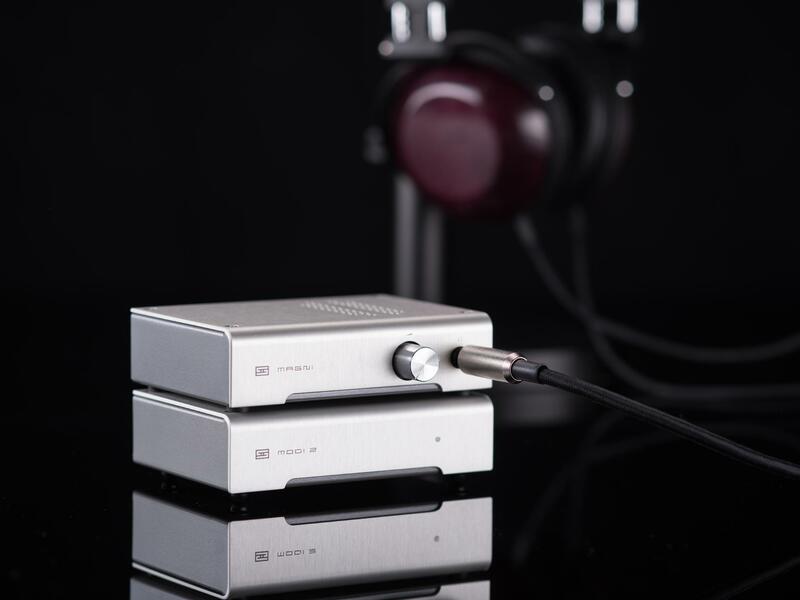 And, if you don’t like your Magni, you can still send it back for a refund, minus 15% restocking fee, within 15 days of receiving your amp. It’s not like you can chop Jotunheim’s Pivot Point topology in half. 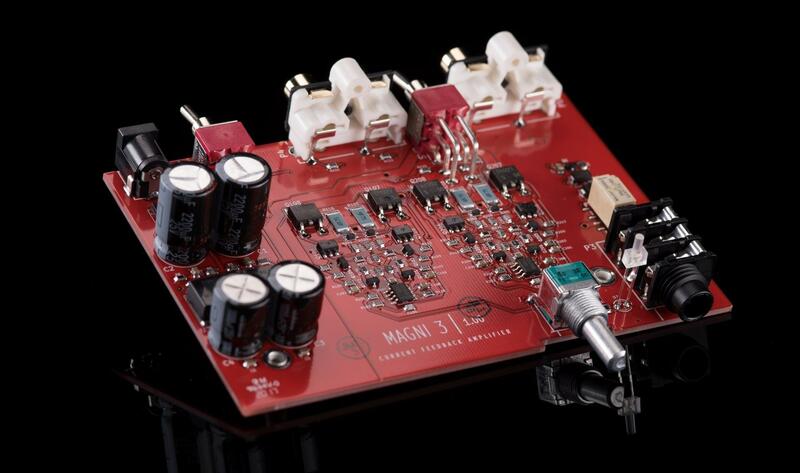 But, like Jotunheim, Magni 3 uses a discrete, current-feedback gain stage that provides ultra-high performance. Unlike Jotunheim, Magni’s gain stage is fully complementary, all-BJT, and single-ended. 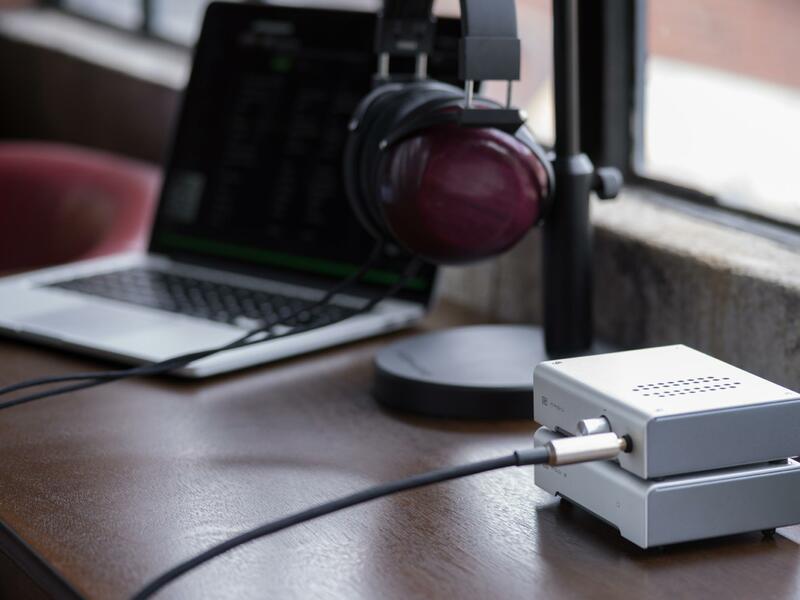 The main point is it’s a super-high-end, exotic-topology, no-excuses, do-all headphone amp—that just happens to cost $99. And it makes like 2x the output power of the original Magni? And you threw in all the good Magni Uber stuff, too—pre outs, aluminum top? And it’s the same price as Magni 2? Yes. Development improves the product. As do larger production runs. So what’s the difference between the 3rd generation Magni and the previous generations? It’s actually easier to say what’s the same, because basically, even though it looks the same, it’s a totally different amplifier. Yeah, that’s cool and all, but break down the differences, please. One model. There’s only one third-gen Magni, and it’s $99. Totally different gain stage. Magni 3's fully discrete, fully complementary, current feedback gain stage is completely and totally different than the previous Magnis. The previous amps’ discrete Lin-style topology was a conventional voltage-feedback design. Power supply. We kept the 21VA transformer and higher capacitance of the former Uber model. Better cosmetics. The aluminum top is standard. Faster shut-down. the muting circuit now acts instantaneously on shutoff. Improved potentiometer curve. we tweaked the potentiometer to have a slower ramp from minimum volume, which improves tracking at low volumes. Wait a sec, is this “current feedback” thing like “current output” with a really high output impedance? No. It’s current feedback, not current output. The output impedance is a low 0.3 ohms. Let’s talk tech. So what’s the big deal about current feedback? It provides a dramatically faster gain stage with inherent symmetry. 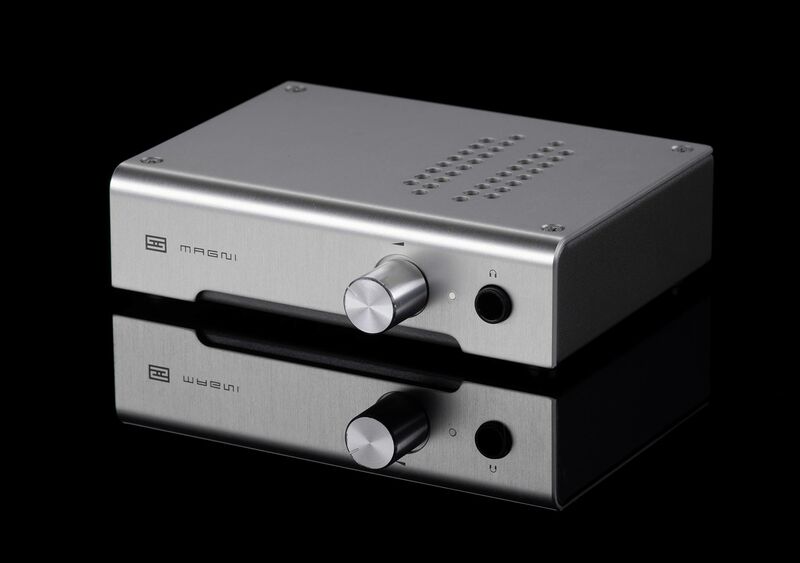 When applied to a headphone amplifier, it gives us an amplifier stage that extends far, far beyond the audio range (if not for the input filter, this stage runs out beyond 6MHz), and still provides better measured performance than any amp stage we’ve ever made to date, except for maybe Jotunheim. What’s this about DC coupling? Magni has no capacitors in the signal path at all—that’s what we mean by DC coupling. This eliminates any sonic effect a capacitor in the signal path might have on your system. And you said this will drive any headphone? No. Magni has relay mute for delayed startup and fast shut-down. You can leave your headphones plugged in all the time. It also automatically disconnects the preamp outputs when you plug headphones in. Amazing things, switches. So why would I buy any of your other amps? Class A. Tubes. You like larger things. Lots of reasons, really. But we’re dead serious—this is really all you need. We did. They’re just in a different chassis and costs another $99-249. They’re called “Modi 2” or “Modi 2 Uber” or “Modi Multibit.” Modi 2 even has a matching aluminum top now. 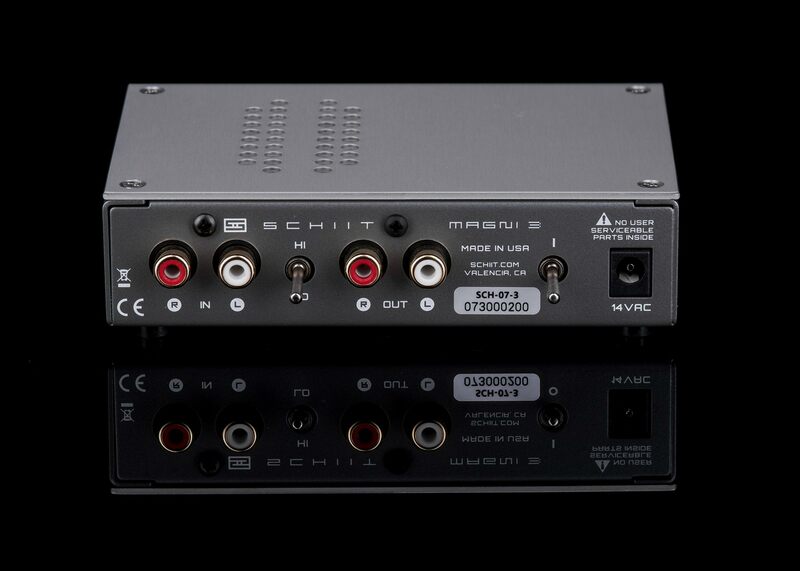 Stack the two and tell yourself it’s a combined DAC/Amp for $198-398. Hey, so does that mean I can plug in some uber-special, gold-plated, cryo-treated, 85-lb 2000VA wall wart and have even better performance? Unless you know what you’re doing, we don’t recommend that. Magni uses an AC wall wart. Most are DC. DC won’t work. But I heard all amps sound the same! You’re bullshitting us! If it’s your experience that all amps sound the same, that’s cool. There are plenty of other options out there, including the one that came in your phone, for free. What the hell is a Magni? In Norse mythology, Magni was one of Thor’s sons. There’s this amazing resource called Wikipedia. You may have heard of it.